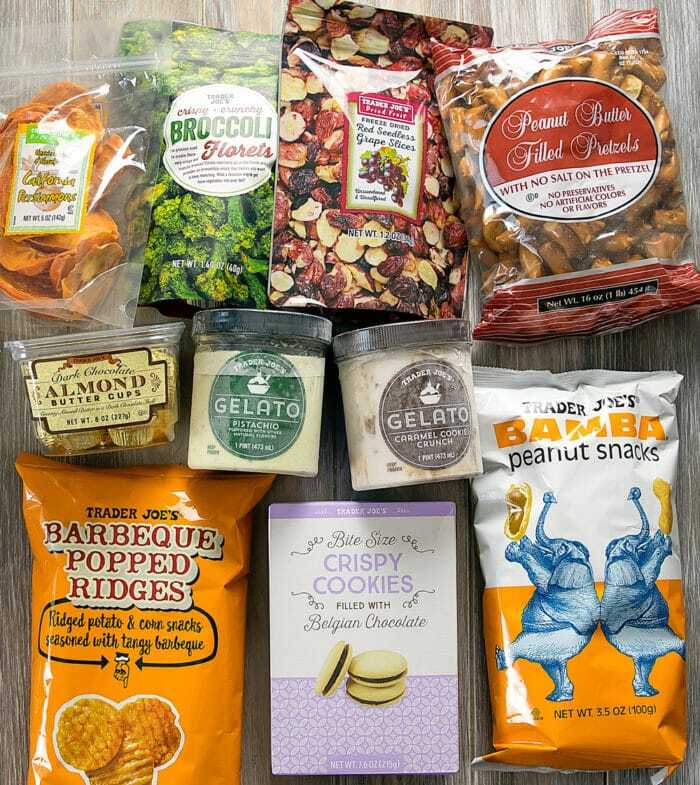 Sharing the latest new products I bought from Trader Joe’s. I discovered many new favorites in this March edition! A new favorite of mine. I am definitely going back for more bags. 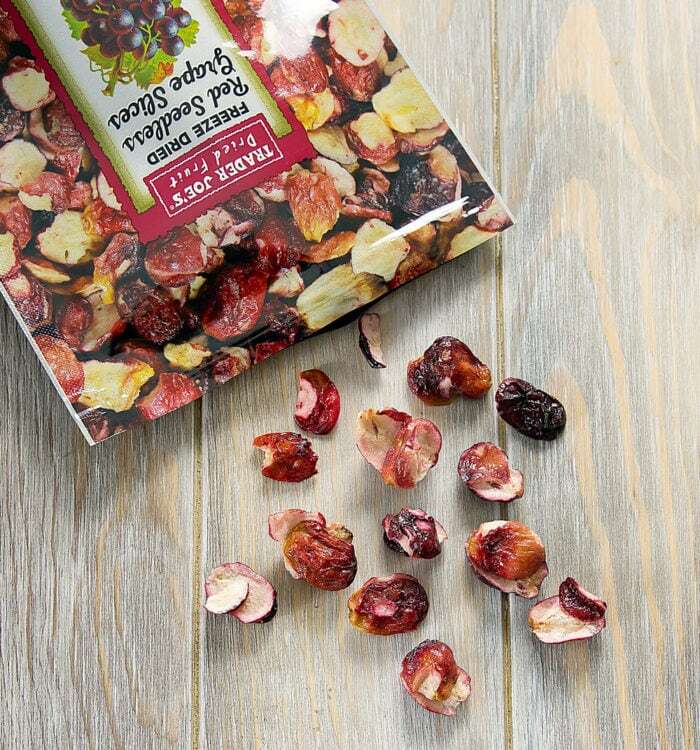 Think apple chips but with grapes. 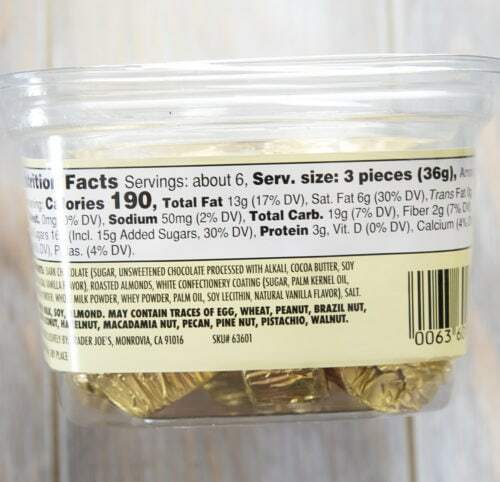 These little bites are so crunchy and sweet. 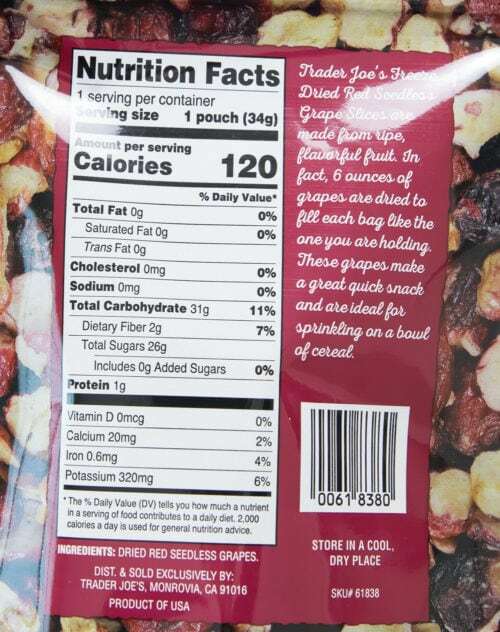 After growing up with raisins, I think the idea of making crunchy grape chips is just so clever and fun. 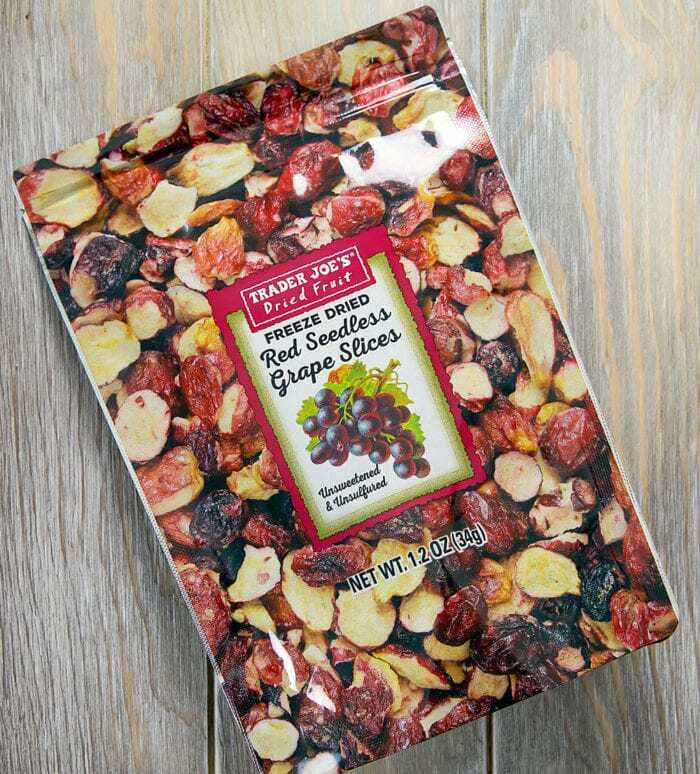 I love that they are freeze dried with the skin on, making them look like red jewels. 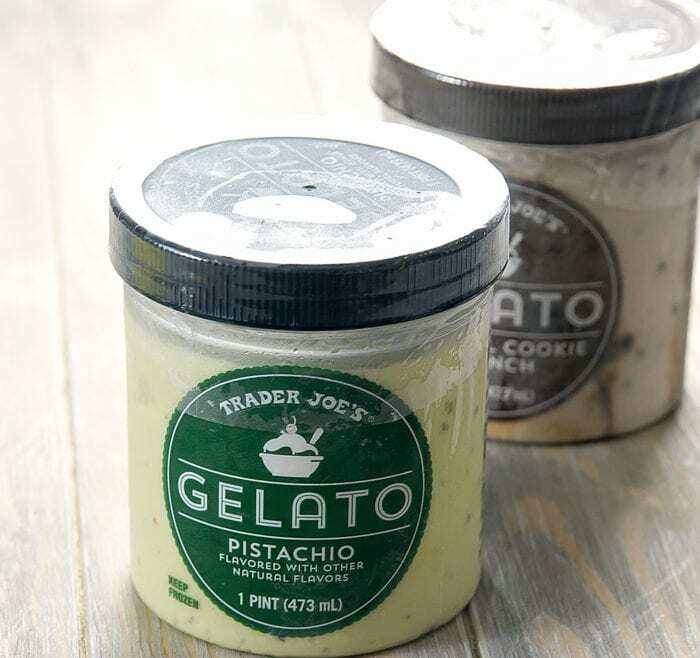 Trader Joe’s recently launched their own line of gelato. I’ve been impressed with their premium ice creams, so I was definitely eager to try the gelato. 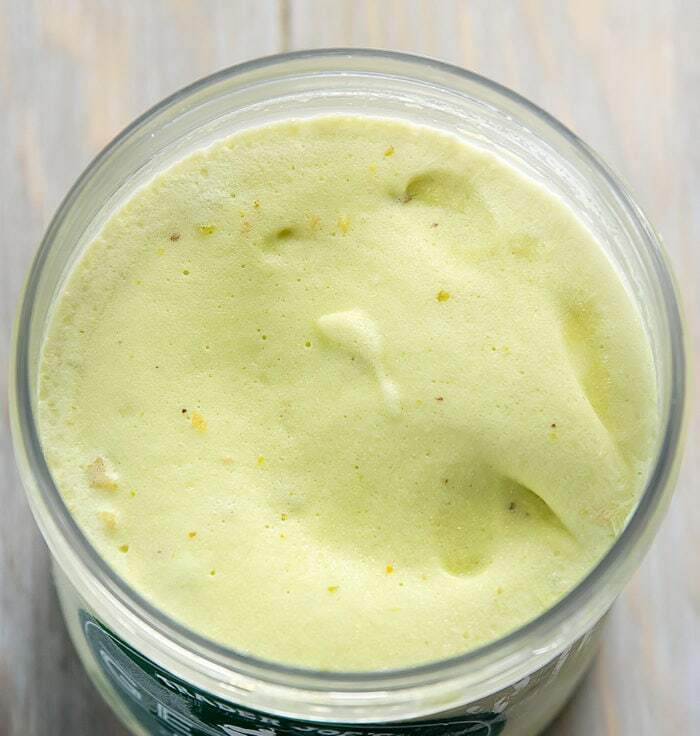 Of the two, my favorite was the pistachio as I could really taste the pistachio nuts. 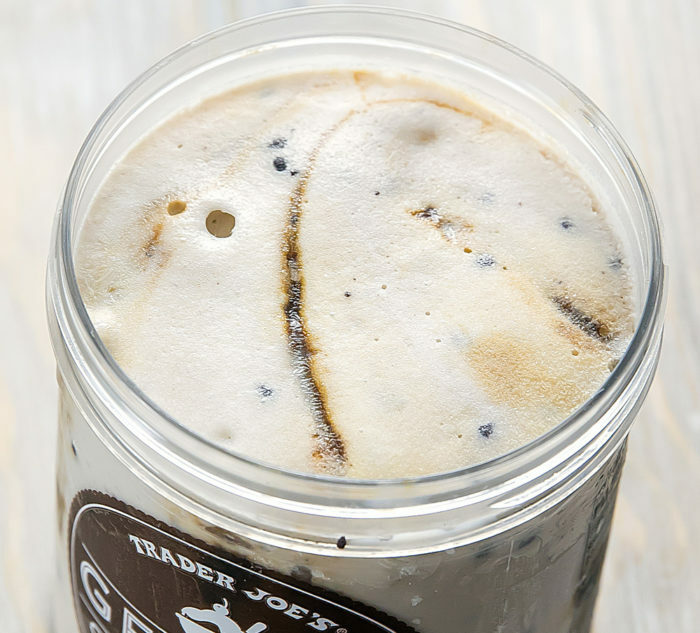 The Caramel Cookie Crunch is a vanilla base with caramel swirls and chocolate cookies. The flavors were a little muddled for me. Another new favorite. 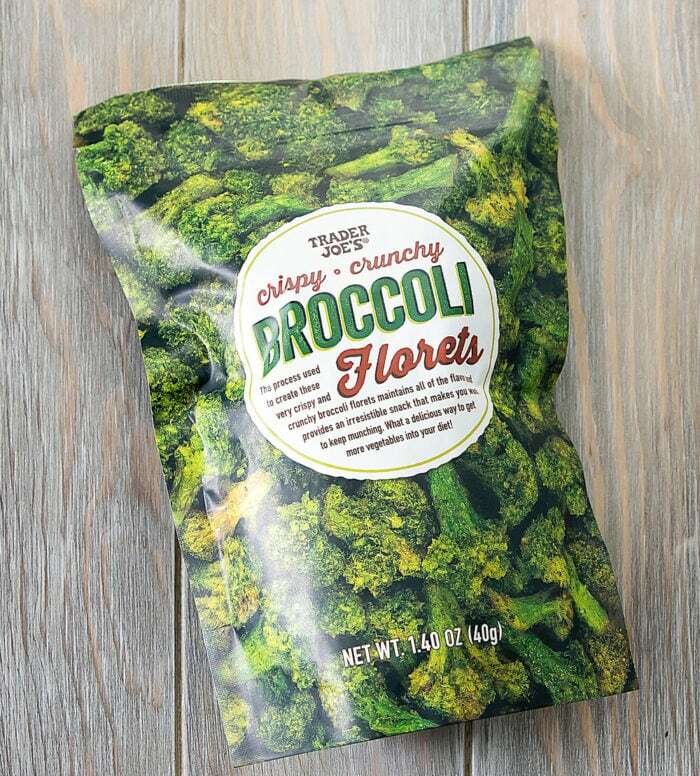 The broccoli is vacuum fried. I love that the florets retain their shape and color. They are crunchy and lightly seasoned. I do wish there was more in the bag as I finished this very quickly. 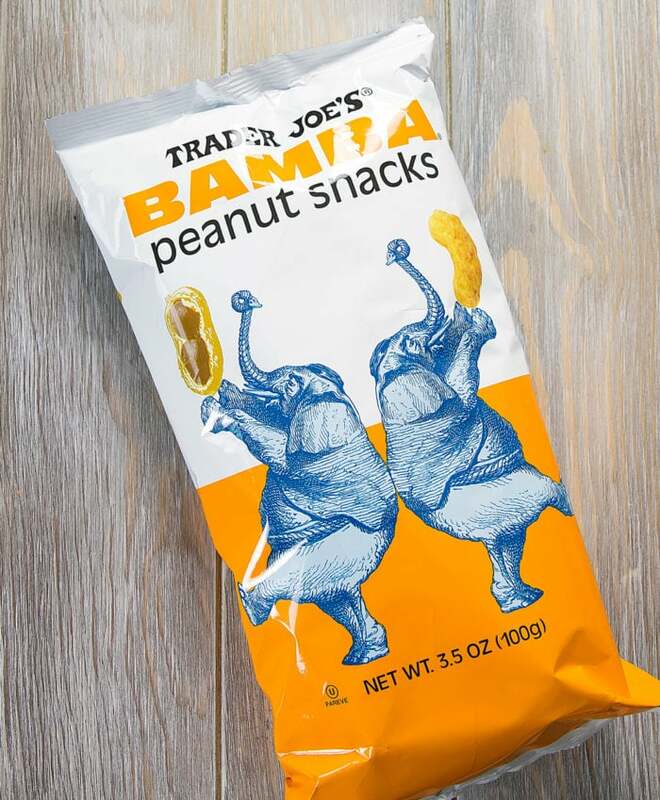 Another new snack I plan on getting more bags of. 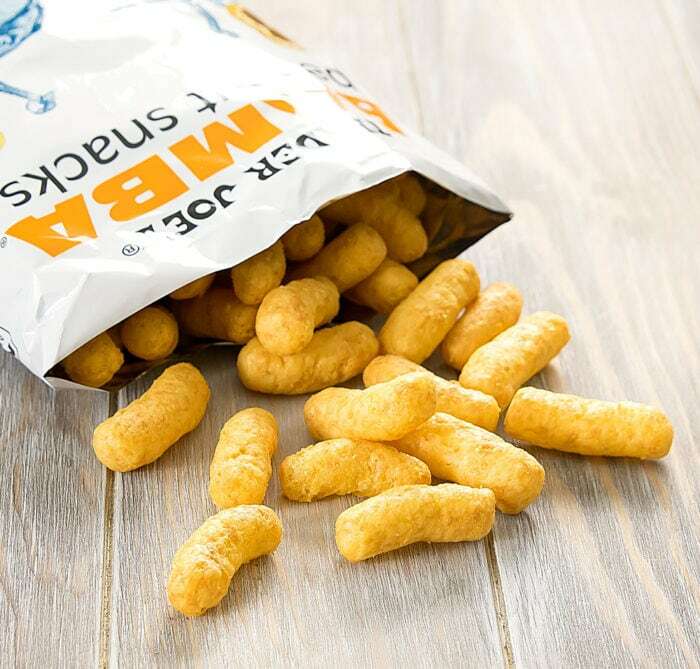 Bamba is a snack from Israel, though this is the first time I’ve had it. 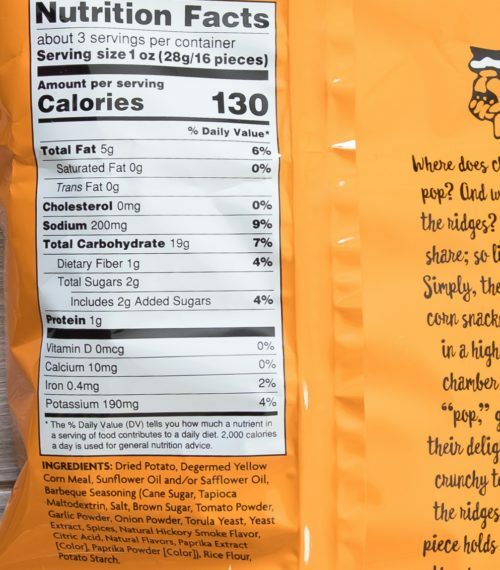 They are like cheese puffs but peanut butter flavored. 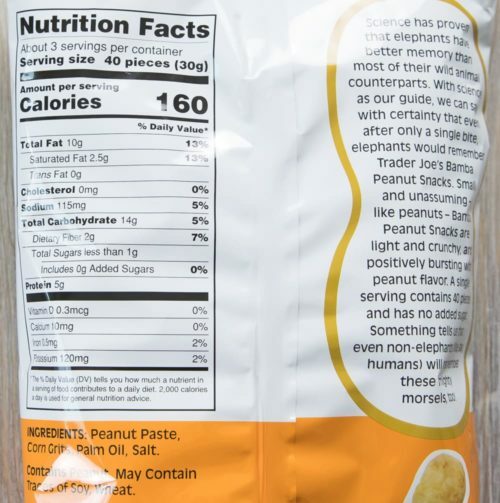 They are salty, nutty, light, airy and crunchy. 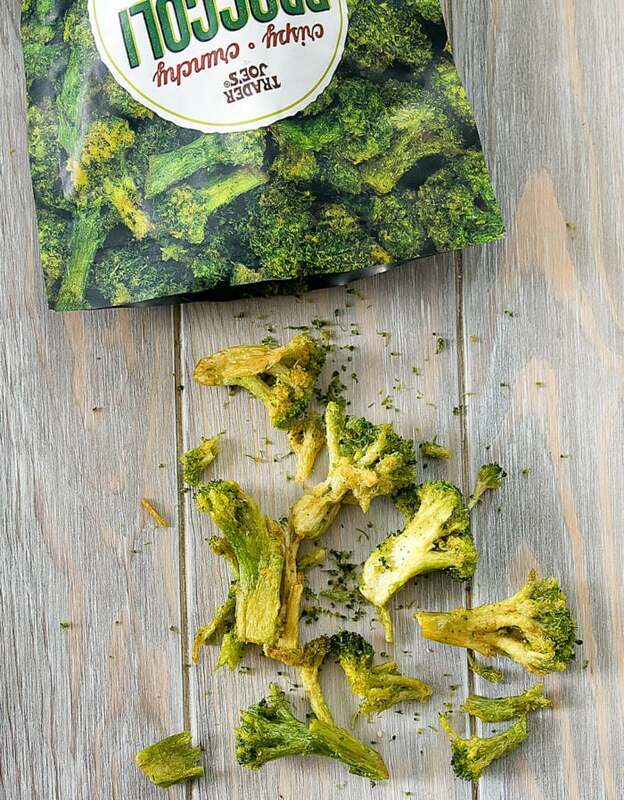 Both my husband and I loved snacking on these. 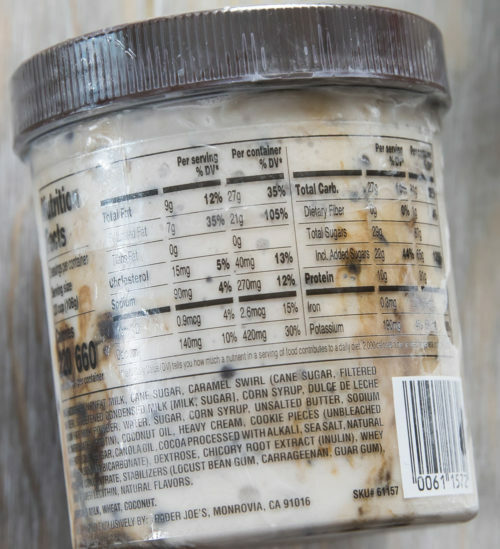 I also like that they contain just four ingredients: corn grits, peanut paste, oil, and salt. 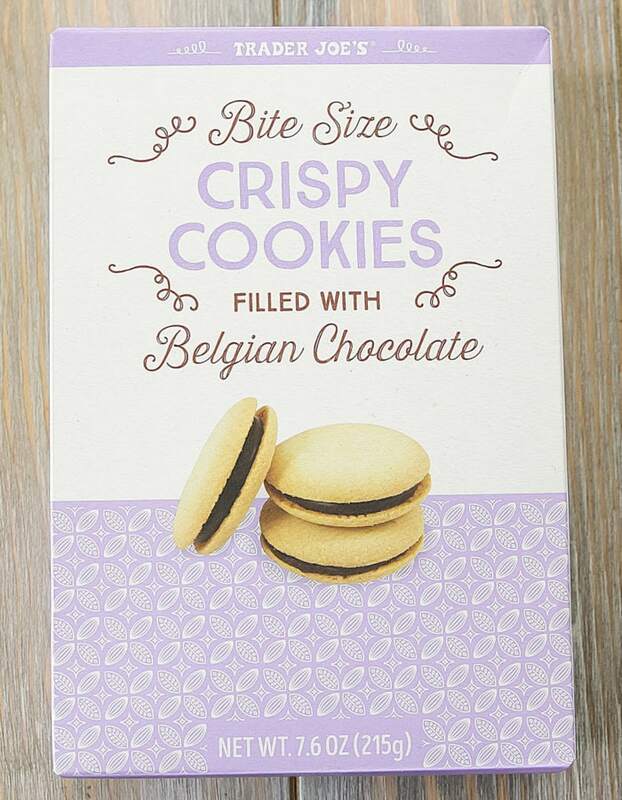 These taste like milano cookies but smaller and with a circle shape. They are quite cute though some of the chocolate filling is a little messy. 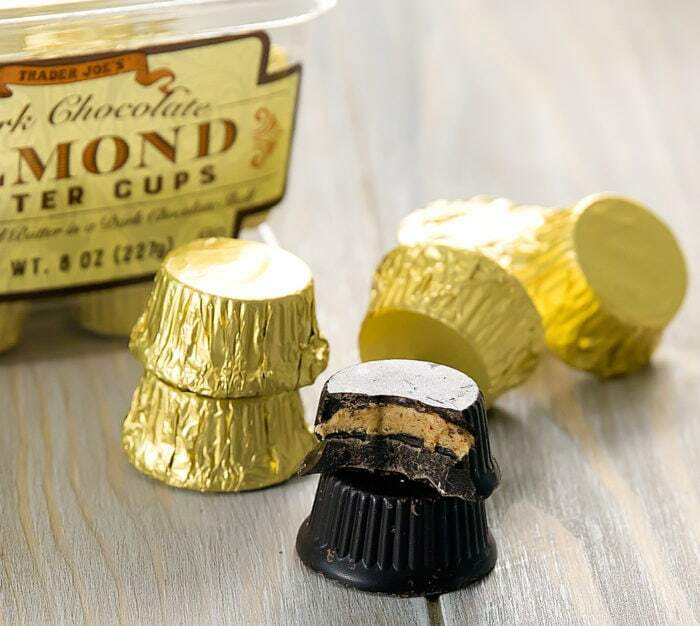 Basically peanut butter cups but filled with almond butter instead. 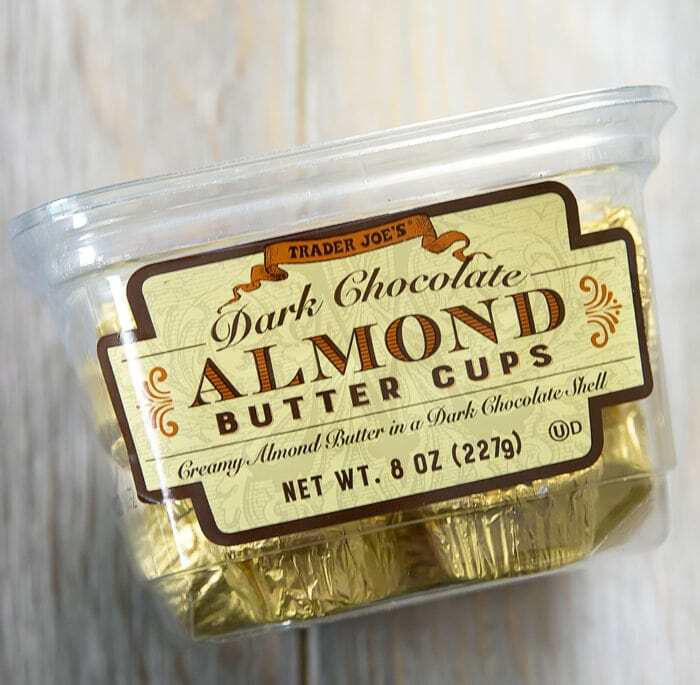 I love almond butter and dark chocolate so I love this idea. My one complaint is that I came across a few that had too little filling and a very thick chocolate shell (like the one below) that was hard to bite. But the ones that were filled properly were delicious. 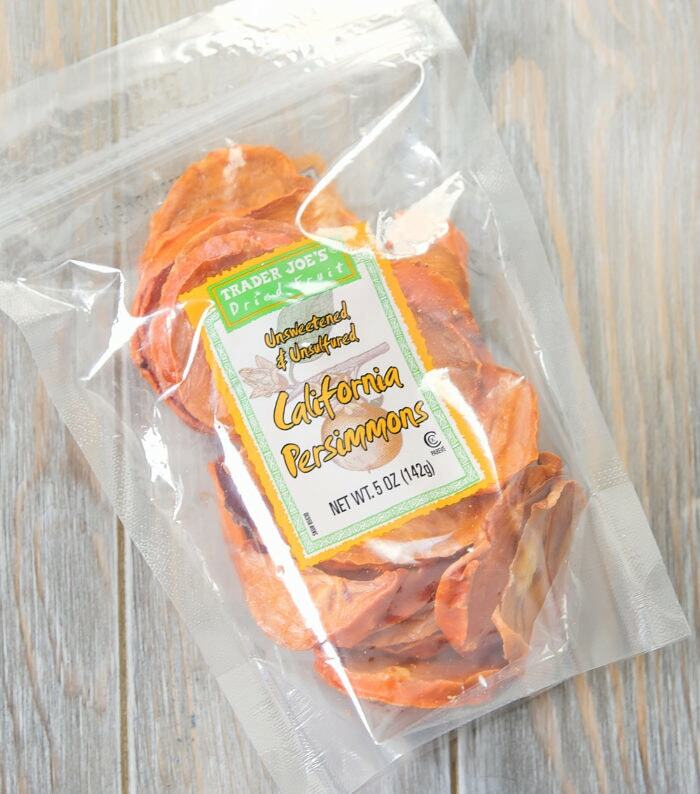 I’ve been in dried persimmons withdrawal since I finished off all of mine early this year. 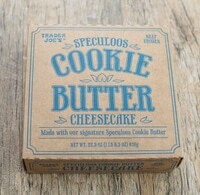 So I thought I would try Trader Joe’s version. 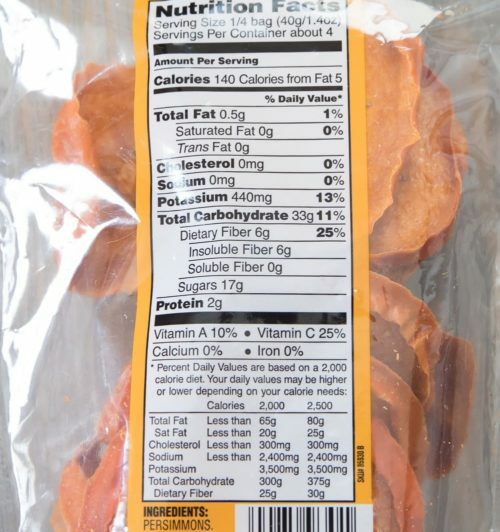 Normally I love their dried fruit products but I didn’t like that these persimmon slices were dried with the skin on. 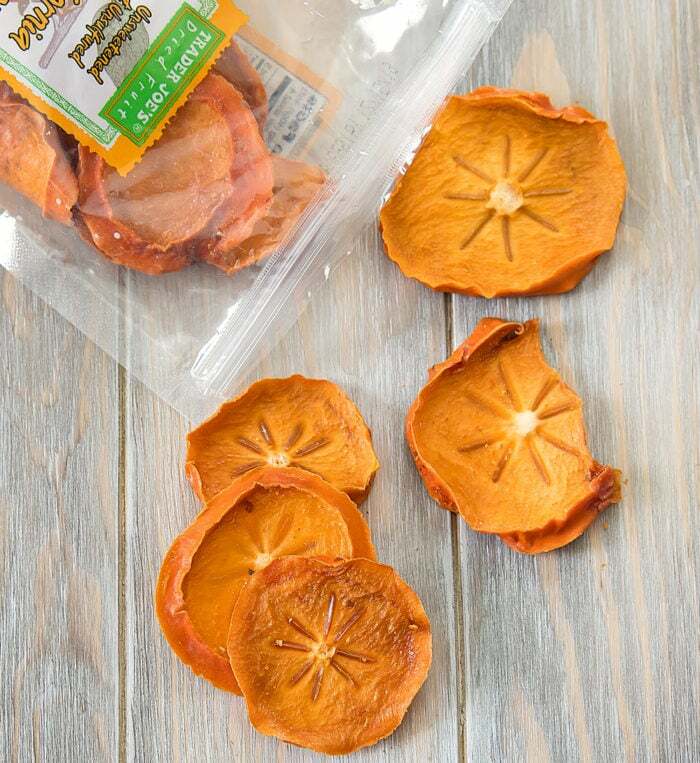 The skin is barely edible on fresh persimmons and I always peel it off when I am dehydrating mine even though it takes a lot more time to do. I found the skin on the dried persimmon slices to be very tough to chew and swallow and I had to eat around the skin. 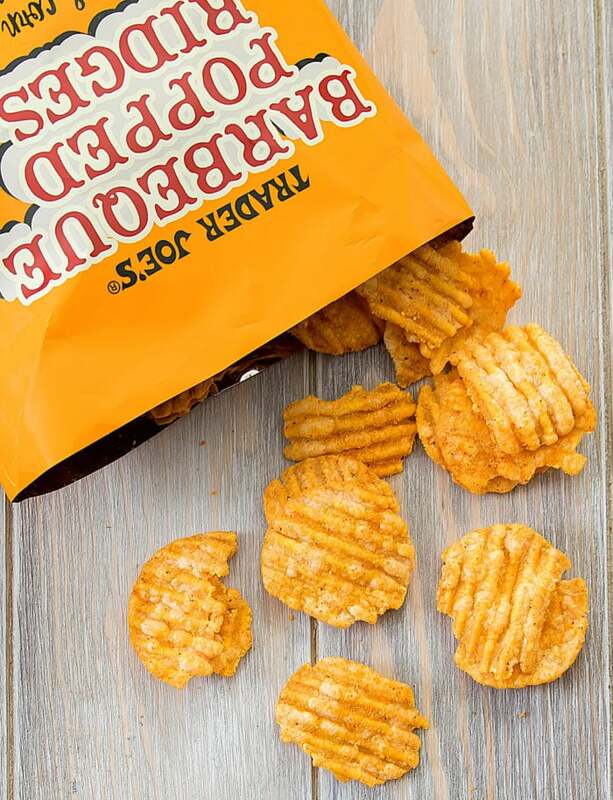 These are like popchips but with ridges. I do like the texture the ridges add. 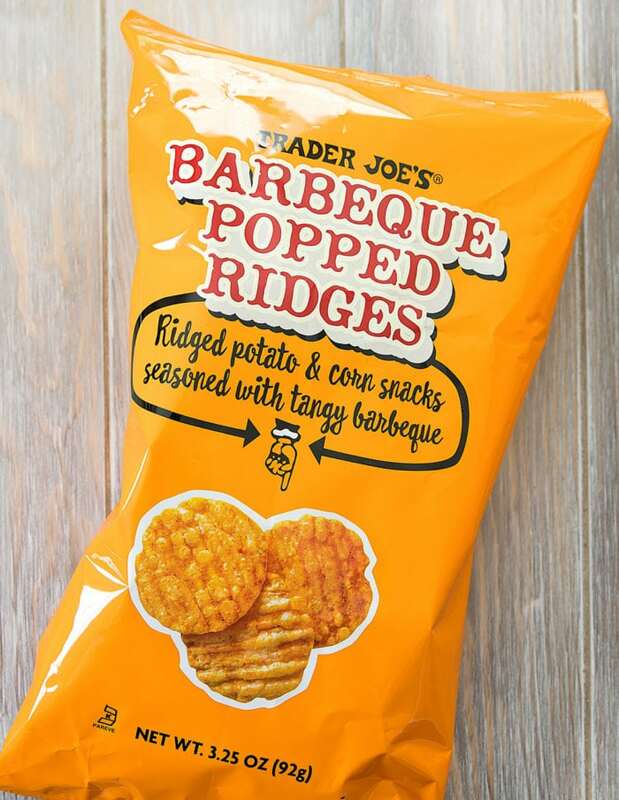 I’m not crazy about barbeque flavor in general, so I think I would like these more if they had other flavors available. Not pictured, but we also picked up more of the pancake bread. I still don’t think it tastes like pancakes but I do enjoy it. That’s it for now. As always, let me know if you have any favorites you think I should try! First time reading your column. 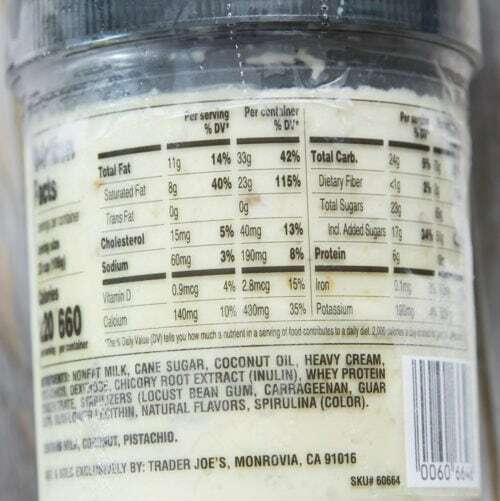 I enjoyed reading your TJ’s haul and I appreciated that you listed the ingredients as well. ?. 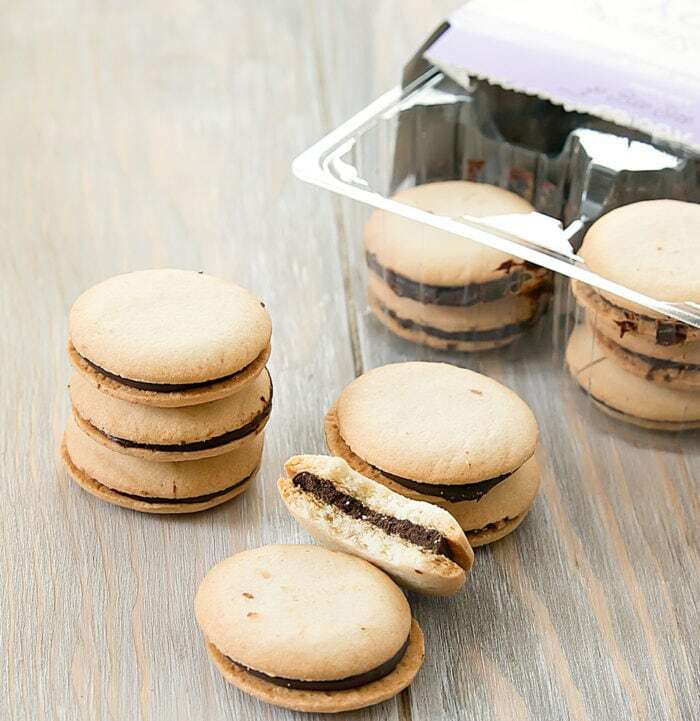 I love the Middle Eastern Flat Bread and frozen macarons. And dried mango. Didn’t realize that they carried dried persimmons!! Well you know where I’m going this afternoon! Thanks for sharing your favorite. 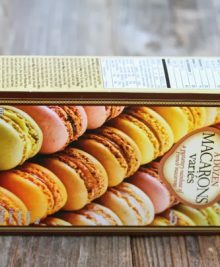 I’ve had the macarons and dried mangos, love them both. Will have to try the Middle Eastern flat bread! 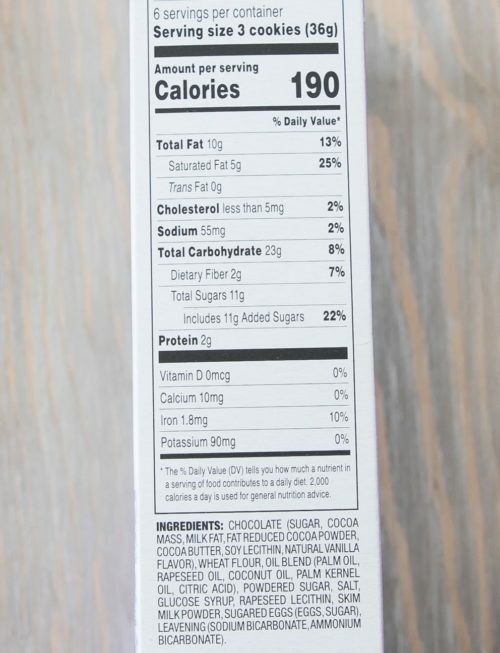 I’ve had a lot of people asking me for certain nutrition info on the TJ products I discuss in my monthly posts, so this time I made a conscious effort to take a picture of each nutrition label. I will try to keep doing it! 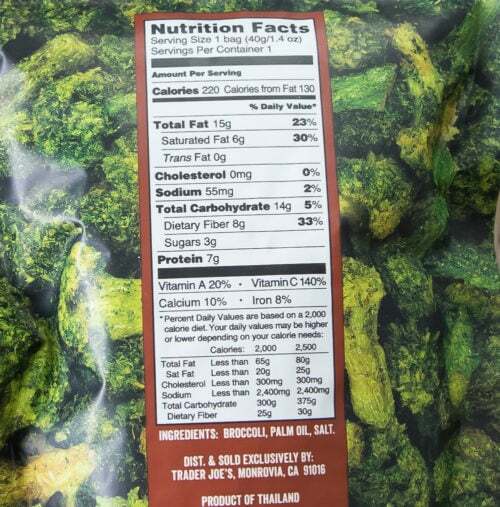 I actually took a pic of the broccoli nutrition label but forgot to add it to the post. It’s on there now! 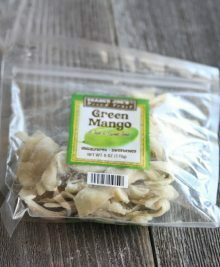 A new snack that I just tried recently is the “Watermelon Jerky” dried watermelon slices – the texture is similar to the dried mango slices but of course taste like watermelon. I really liked those! I was looking for those but they didn’t have it at my store! Will check again next time I go. I do want to try them. The pancake bread tastes like a pancake but a cold pancake. I will toaster it next time. Love Traders.. Ive moved but still work in Redding. Wished they where bigger but easy for me to get in and out of. Actually going today to look at flowers for birthday gift. Love the help and all their wine selections and frozen foods.fun little store. Too bad they don’t do mail orders for those of us who aren’t in a city/large town! Yes it is too bad they don’t do online shipping. I’m sure a lot of people would be interested!